Underwater Submarine Control Dynamics | How do Submarines Work? A surface vessel, including a surfaced submarine, moves from point to point in two dimensions. It can travel forward or backward, or move laterally, but it must always remain on the single plane of the ocean’s surface. A submerged submarine, however, like an airplane, travels in three dimensions. In addition to the forward/reverse/lateral movement of a surface vessel, a submarine can also travel in the vertical plane, limited only by the inability to rise above the surface of the water, or to drop below the level where the sea pressure would destroy the hull. Different components affect this three-dimensional motion through the water. Backward and forward motion is controlled by the submarine’s screws (propellers). Lateral submarine controls are imparted by the rudder (or rudders). 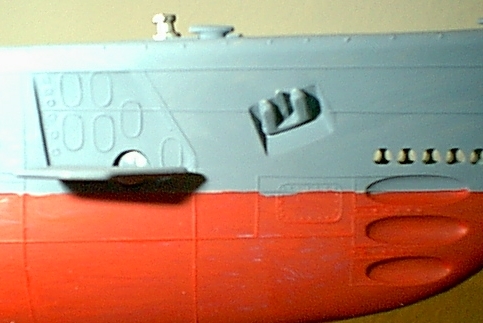 Vertical submarine controls are imparted by the bow and stern planes. We’ll look at each of these separately. The first effective combat submarine, C.S.S. Hunley, was a single screw design through necessity. Because she was powered by the efforts of her crew sitting along the two sides, turning a long crankshaft, a single shaft design was probably inevitable. After sinking twice on trials, Hunley was successful in sinking the Yankee steam sloop Housatonic, part of the Federal force blockading Charleston Harbor. Hunley was lost after signaling a successful attack, due to causes that have never been positively determined. Early powered submarines were also mainly single-screw designs. Again, this was mostly because of their small size, which left only a limited space for machinery. As submarines grew in size, and there became room for more than one engine and motor, twin screw designs came to predominate until several years into the nuclear age. There are perfectly good reasons to prefer a twin-screw boat. The most obvious is that, when operating on the surface, a multi-shaft vessel is much more maneuverable. By going ahead on one screw and astern on the other, the boat can turn itself in a remarkably confined space without the need for tugs. Single screw designs require sufficient forward or reverse motion through the water for their rudders to act, meaning that they normally need assistance in tight quarters. The main reason for the switch to single-screw submarines is a shift in the normal method of operation. Prior to the nuclear age, submarines mainly operated on the surface. Modern nuclear submarines, which spend 98% of their time submerged, shifted to single screw designs which, combined with a teardrop shaped hull, are more efficient at depth. In this case, surfaced maneuverability is sacrificed for quieter, more efficient submerged operation. Marine propellers are called “screws” because this is how they function. Turning the propeller has the effect of screwing it through the water, in exactly the same way that the spiral threads of a wood screw pull it into a piece of timber. Some of the earliest propeller designs actually consisted of a shaft with an auger-like continuous blade several feet long. It didn’t take too long for the engineers to figure out that short, segmented, angled blades worked just as well or better, and were a lot less trouble. Propellers are classified by their diameter, the number of blades, and pitch. The latter is the distance that a single revolution of the screw would move the vessel forward or astern if water was a solid medium, and the screw operated with 100% efficiency. Surface ships never achieve this sort of efficiency, but modern submarines come very close when running deep. The rudder works by acting against the water flow as the ship moves through the water. 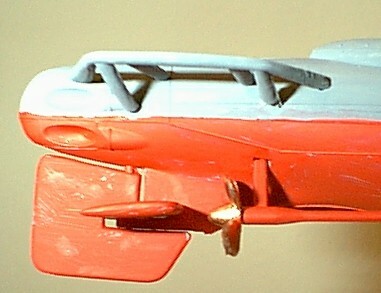 Swinging the rear end of the rudder to the left causes the stern to move to the right. Traditionally, rudder commands were given based on the direction the forward end of the tiller—which exists, even with a wheel—moves in steering the vessel. Thus, a command to put on so-and-so many degrees of port rudder means the ship will turn to starboard. The wheels on older ships were rigged to turn in the opposite direction from the vessel. (Which actually makes some sense, if you think of it as pushing the vessel instead of turning the wheel.) More recent practice is to say “steer right/left,” and rig the wheel so that the ship responds like a car. Since rudder action is based on the movement of water across the control surface, the vessel has been moving before the rudder can work. “Steerage way” is the minimum speed required to steer a given vessel. Angling these planes up or down causes the boat to rise or sink. The boat itself is normally kept as close as practical to neutral buoyancy, which is the point at which it will neither rise nor sink. The flow of water over the planes allows the commander to “fly” the boat through the water. In American fleet submarines, the planes were hydraulically operated most of the time. Because the pumps could be noisy, they were shut off and the planes worked mechanically when silent routine was being enforced. This normally meant that the plane’s operators had to exert the most physical effort precisely when the boat was hottest since the air conditioning was also shut down when running silent. German submarines used electrically operated planes and rudders, which were quieter, though they did adopt hydraulic submarine controls in their Typ XXI Class boats, mostly to conserve electric power for the motors.